at the leadership challenge course, west point sle. photos from west point's flickr. At West Point, the United States Military Academy, cadets must "dare greatly". 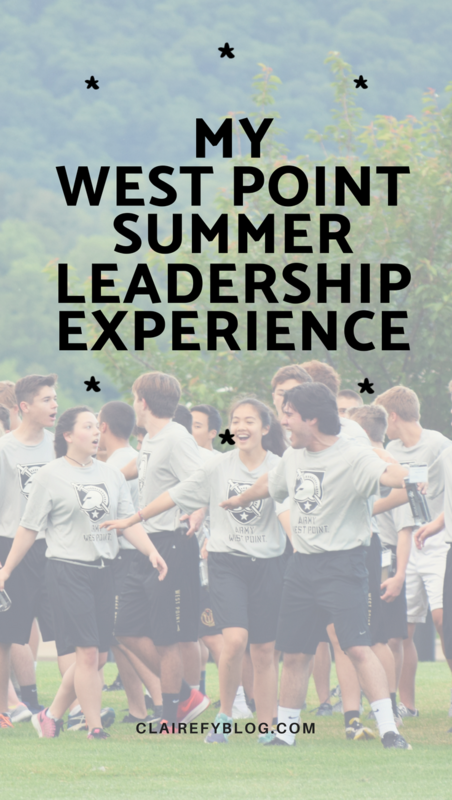 At the Summer Leadership Experience (SLE), a week-long program to involve students in life at West Point with physical challenges, academic classes, and motivational and college preparatory seminars, "dare greatly" served as our mantra. We screamed it, every morning, afternoon, and night at formation and meals (and several attempts to sit on auditorium seats in unison while maintaining a straight face and without first adjusting the seat). Before attending SLE, I was nervous, and even a little hesitant. I'll be honest: my father, an army infantryman, was a graduate of West Point, and I am growing up a military brat. Still, I wasn't sure I wanted to pursue a similar route, and having to attend camp the day after my final exams and math placement tests drained me. I scoured the web for a hint of what I might face, but all I could find were College Confidential threads stating that there would be "a lot of burpees". While I certainly wished for more time to sleep (ha), SLE was well-organized. Primarily cadet-run, the program provides participants a real opportunity to interact with students actually living at the academy. Campers are divided into five or six platoons, each hosting several squads of eight to twelve attendees. Every day began with a physical training session around 5:00AM. This typically consisted of a circuit training workout involving body weight exercises, like push-ups, sit-ups, and squats, although relay races and a group run later in the week helped to vary the mornings. Perhaps one of my most bittersweet memories emerged from these sessions: around 4:30AM, the squad leaders in my hall would blast loud pop music to get us up and moving. The most jarring moments for me ensued the first day of camp. Uninformed, I had not known that we would participate in a mock R-day. R-day at West Point marks a cadet's transition into military training, involving much yelling and intimidation. While I am certain that our mock R-day pales in comparison to the real experience, I have to admit my surprise when I turned the corner with my suitcase and was instructed to stand in a line, face forward, and not speak unless spoken to. Running up the ramp to dorms with my suitcase and carry-on bag strapped over my body. The giant bag was bouncing off my hip and my suitcase turning over while I tried to reach the top of the hill. Ending up with shirts and covers so large I can wear them as dresses. I asked for the wrong size when told to yell my size "from my diaphragm", and I also somehow obtained a large cover. I dropped clothes out of my backpack as I tried to run up the stairs and stuff everything in my bag. I had to repeat the "cadet in the red sash", in which participants have to memorize a script, turn and face a cadet, salute, and repeat the script, at least three times. Trying to keep up with a cadet walking up flights of stairs and turning every corner while holding my luggage. Another camper and I were instructed to change into our PT uniforms and be in the hall in four minuets. Upon reaching my room, shaking, I quickly dumped the contents of my bag and luggage in search of the assigned clothing. Again, I believe knowing what I was about to face would have made it easier in the moment, but I am glad I can reflect on it now. Early on the second day, we had to take the Cadet Fitness Assessment (CFA), a test that includes two minutes of sit-ups, two minutes of push-ups, two minutes of pull-ups, a shuttle run, a basketball throw, and a one mile run. Passing this exam is mandatory for the admissions process. Being uninformed, I did not train for the exam, but I was impressed by my peers' dedication to training early on. Later, an optional church service was available for those interested. I will admit that I used this time to catch up on sleep. 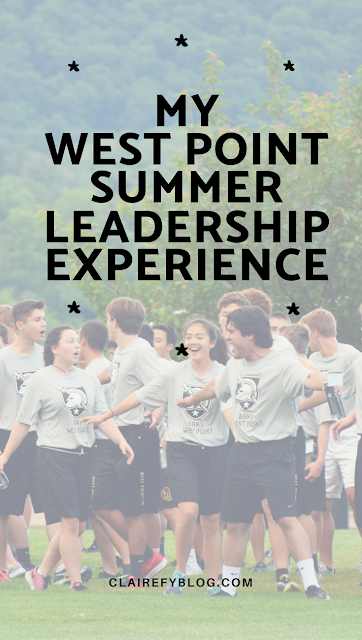 The middle three days of the week revolve around three academic seminars, and a handful of other information sessions on applying to West Point and leadership. 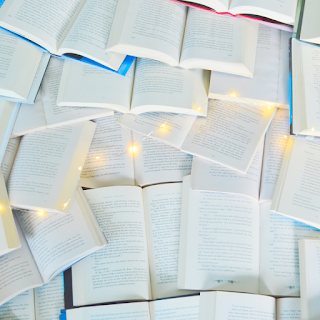 For the academic seminars, I attended mock trial, English, and foreign languages. Mock trial: I had high hopes for this seminar, because I have never tried this club activity before but have thought about pursuing law in the future. I was disappointed in the first session; we drew from a container whether we would assume the role of lawyer or witness. I drew witness. While the instructors worked with the two groups of lawyers, all of the witnesses were left in a room alone to talk. The performance of the trial in the second session made it more interesting, however I wish the instructors could have involved everyone or alternated roles within the two sessions. English: I was also disappointed with this seminar, which consisted of reading material on paper and analyzing the author's message-- not the most engaging activity to a room of sleep-deprived teenagers. I distinctly recall looking down my row to see everyone either dozing off or doodling to stay awake. Foreign languages: Instructors divided us into a group focused on French and a group focused on Arabic and Persian. Because I currently take French in school, I opted to take the latter, and try something new. While I still struggled to stay awake, I found the Arabic professor incredibly interesting, engaging, and truly passionate about what he was teaching. With guidance, we learned to write our names and sound out other's names in Arabic. During these seminars, many of us participants were exhausted from the early morning and struggled to stay awake in session. 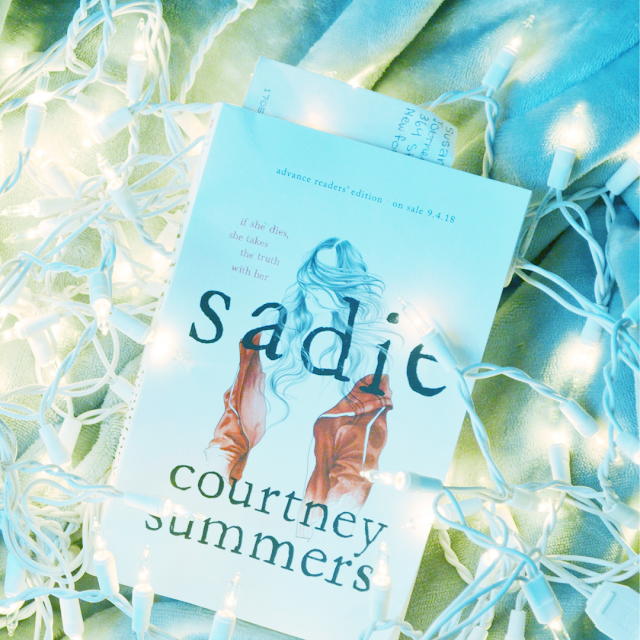 In my three years of juggling homework and demanding extracurriculars in high school, and as someone who takes their academics seriously, I have never felt so close to falling asleep in class. 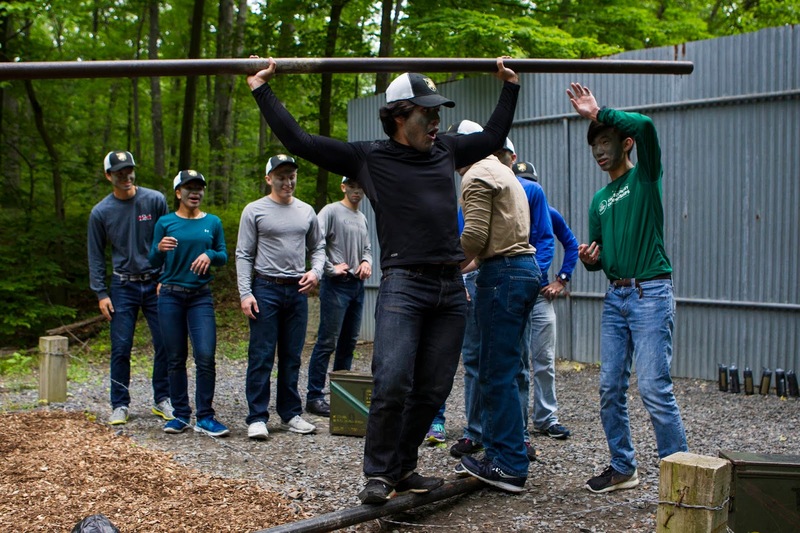 On one of the last days of camp, we donned green face paint and tackled Camp Buckner, a military training site, to try an obstacle course, a leadership challenge course, different military movements including combat practice, some communication technology, and shooting weapons. Physically, I struggled with many of the challenges in the obstacle course. I was struck, though, by how supportive my squad was throughout, yelling encouragement and offering tips no matter how much difficulty I had. Another bittersweet moment I can laugh about now: while crawling under barbed wire in one obstacle, my ponytail became caught in the wire. My favorite part by far was the leadership challenge course. At each station, our squad had to face a scenario involving a physical obstacle, and each member of the team had to contribute to accomplish the mission. The course forced everyone to work together and develop camaraderie. I still smile when I think of some of the tactics we tried to overcome the obstacles, many of which resulted in our hypothetical deaths, including holding onto a rope attached to a free-standing ladder as someone tried to scale that ladder to reach the top of a wall, and handing a giant, heavy metal pole to one person to create a faux ladder, and how he careened trying to balance on a single rock within a fake mine field. As someone who entered the camp already unsure and hesitant, the first day felt like culture shock. For me, the physical aspect was one of the most challenging of SLE. Although I passed the CFA, after the obstacle course especially I felt acutely aware of how important fitness and ability to function on little sleep are to this path. The best part for me was the meals-- not because of the food, but because they provided time to talk with my squad members, whom I grew closer to as the week progressed and more challenges pushed us to work together. As cliche as it may sound, I grew a lot as a person in this week. The camp forced me to assume confidence, because to survive challenges, I had to trust in myself: my body, my mind, my choices. I left SLE with more self-awareness. That said, I was surprised by the culture of teamwork that these challenges fostered, and how driven my peers were. We had to talk to each other and overcome together to succeed, and that made our squad become a team. For high school juniors: even if you are, like me, unsure about whether you want to pursue a future at West Point or the military, I encourage you to apply for SLE. There, I met many other intelligent, talented, and determined individuals I hope to see again in the future. The camp demands, but I believe I left a stronger person because of it. What is a challenge that you have overcome?